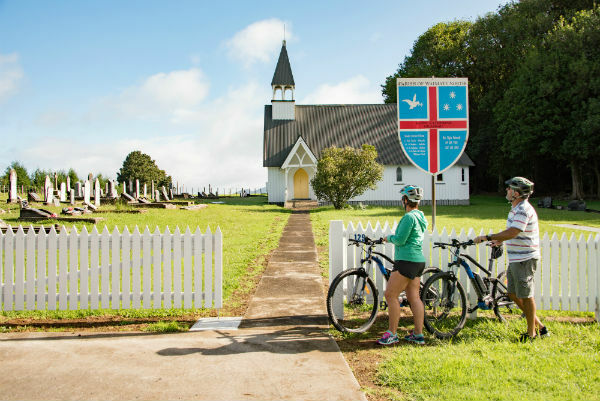 The Twin Coast Cycle Trail – Pou Herenga Tai, travels from the beautiful Bay of Islands to the remote and picturesque Hokianga Harbour, or vice versa. The bike ride is free, suitable for all ages, fitness levels and abilities, as it is generally flat with gentle climbs. Due to its sub-tropical climate – it can be ridden all year round. The trail is 87 km and is divided into four sections and can be ridden in either direction. The central point is Kaikoke, from there the trail descends to the East and the West coasts. 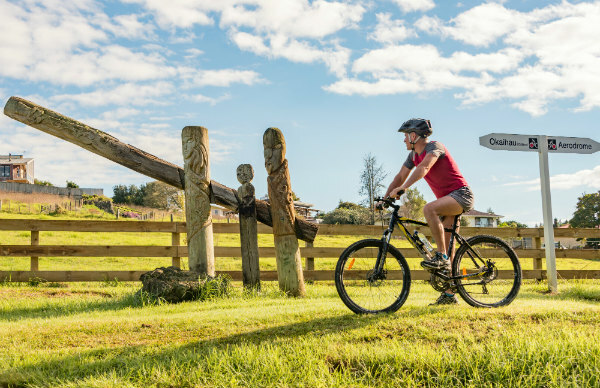 This trail goes through diverse and stunning scenery with spectacular views, but it also takes you on a fascinating journey through some of New Zealand’s earliest Maori and European settlements. The central point is Kaikoke, from there the trail descends to the East and the West coasts. 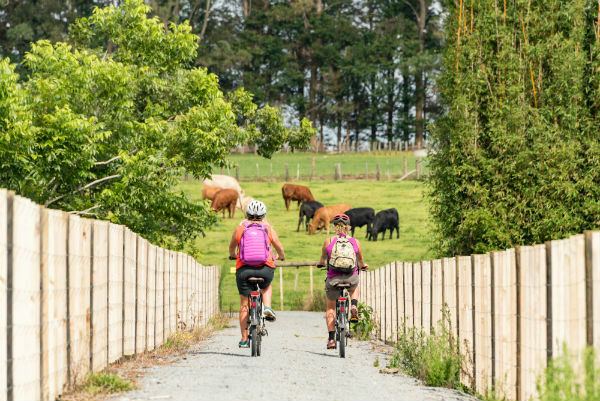 This trail goes through diverse and stunning scenery with spectacular views, but it also takes you on a fascinating journey through some of New Zealand’s earliest Maori and European settlements. Story boards along the way bring history and stories of the local people to life. Cyclists have the choice of staying in Kaikohe or Okaihau as central points and cycling to each coast. From each end, a return shuttle can be organised. 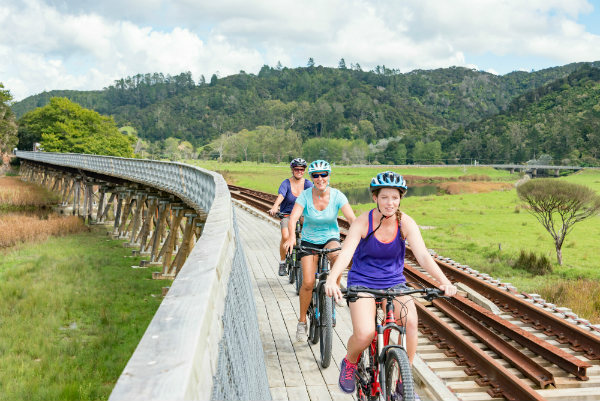 Others prefer to cycle the full length of the trail starting from Opua and finishing in Horeke. Some cycle both ways. There are those that spread the sections over a few days whilst on holiday in the north. 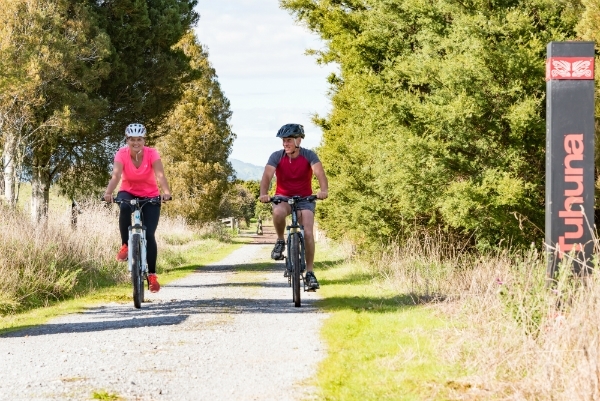 Visit the helpful trail website https://www.twincoastcycletrail.kiwi.nz to find out more about planning your trip including bike hire, accommodation, sample itineraries and what to expect on the journey.